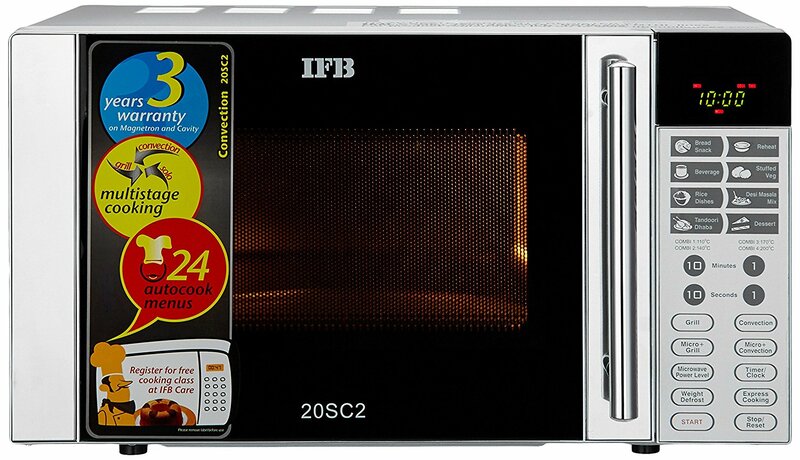 IFB 30 L Convection Microwave Oven (30SRC2, Metallic Silver) comes with amazing features to facilitate amazing cooking at home. 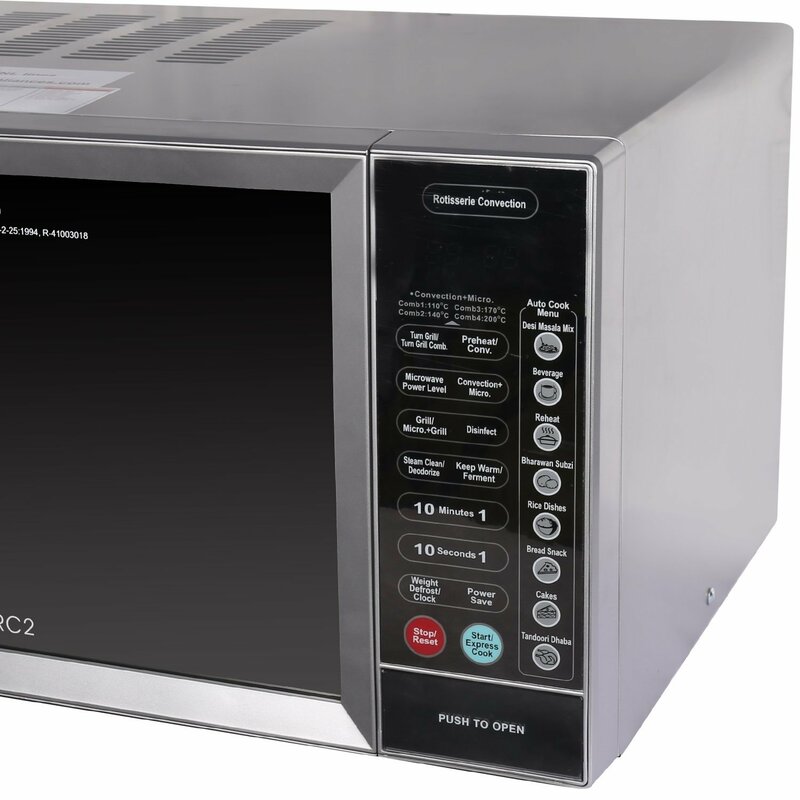 It has stainless steel cavity, LED display, 10 power levels, clock, combi tec feature, weight defrost, steam clean, multi-stage cooking, 101 cooking menus, express cooking, auto reheat, sensor malfunction protection, cooling feature, rotisserie, fermentation, disinfect and keep warm features. With all these features, cooking at home can really be very easy. 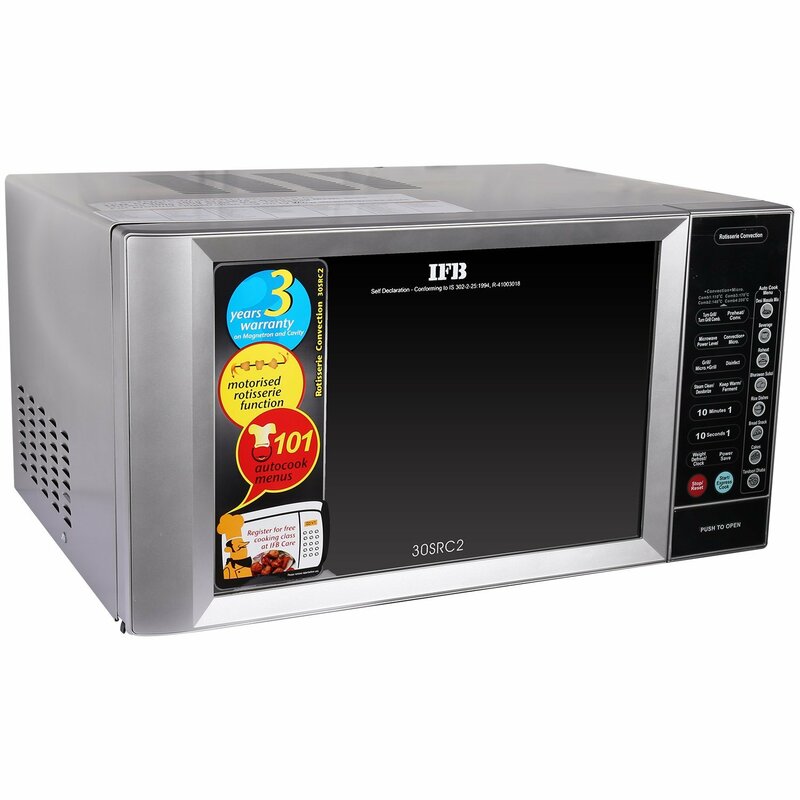 This IFB 30SRC2 thirty liters microwave oven comes with 3 years of warranty on the magnetron and cavity that means you don’t have to worry of any microwave defects for a long time. Further, it has child safety lock feature that locks the keypad so that a child can’t change the setting and it is safe for your children as well as oven itself. The 101 auto cook menus let you explore the latest flavors and recipes at home. You just need to enter the weight of the food you want and leave the rest of the work on auto cook feature. 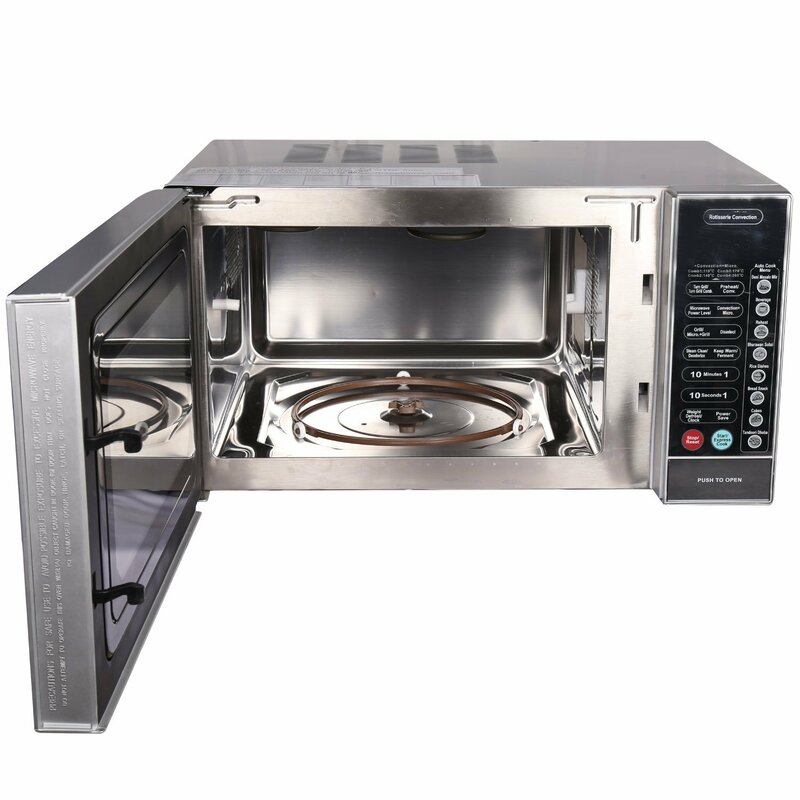 Amazingly, it comes with rotisserie feature that comes in handy at the time of preparing tasty meat dishes. 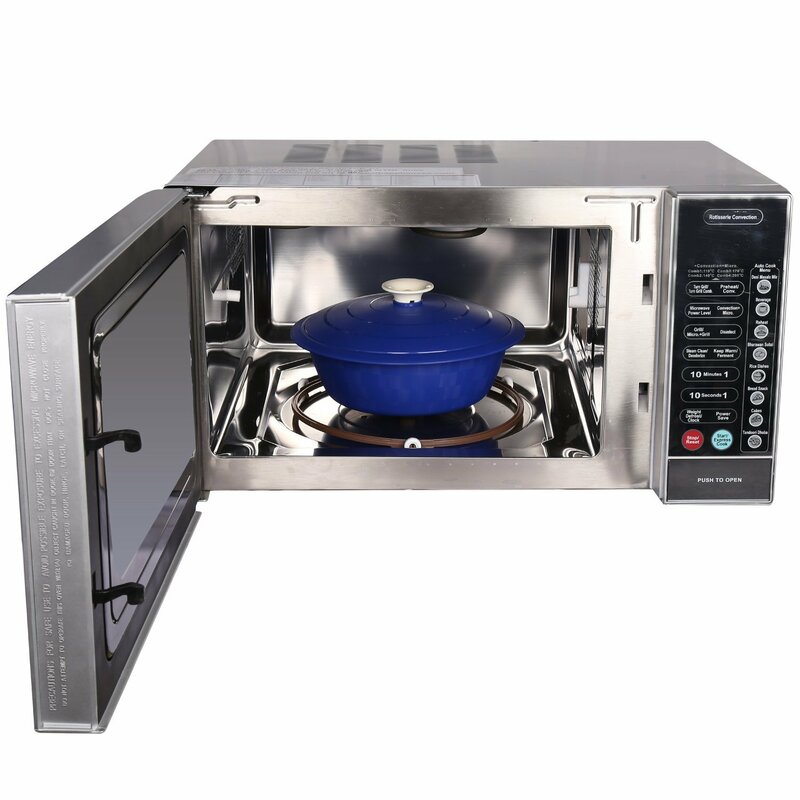 To get the maximum performance and the best result, it is advised to use upper and lower heater. Use the weight defrost feature by entering the weight of food item you want to defrost. 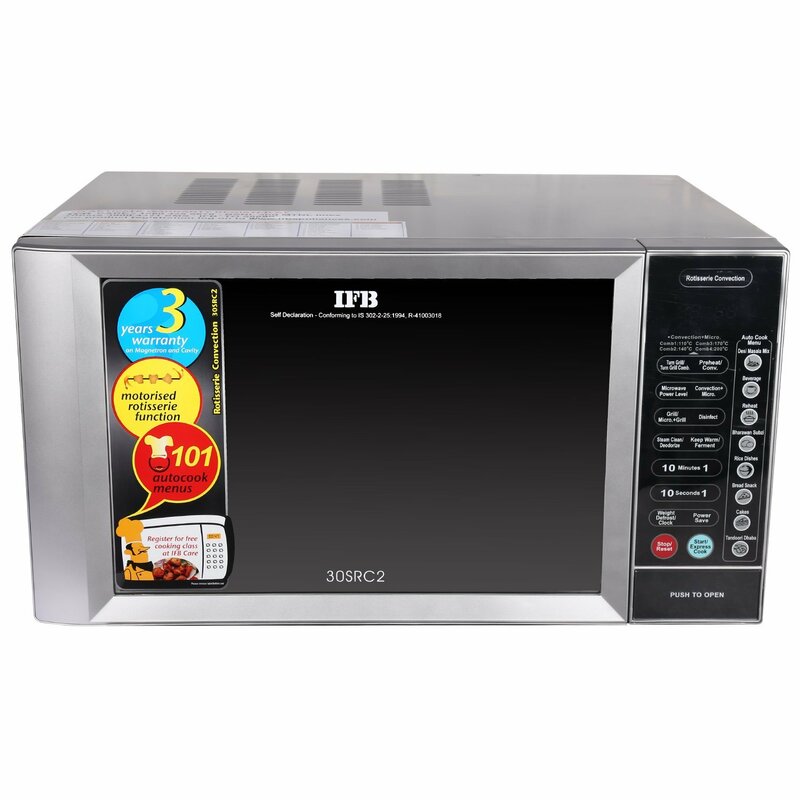 IFB 30SRC2 microwave oven comes with multi-stage cooking that has automatic sequential execution capability. 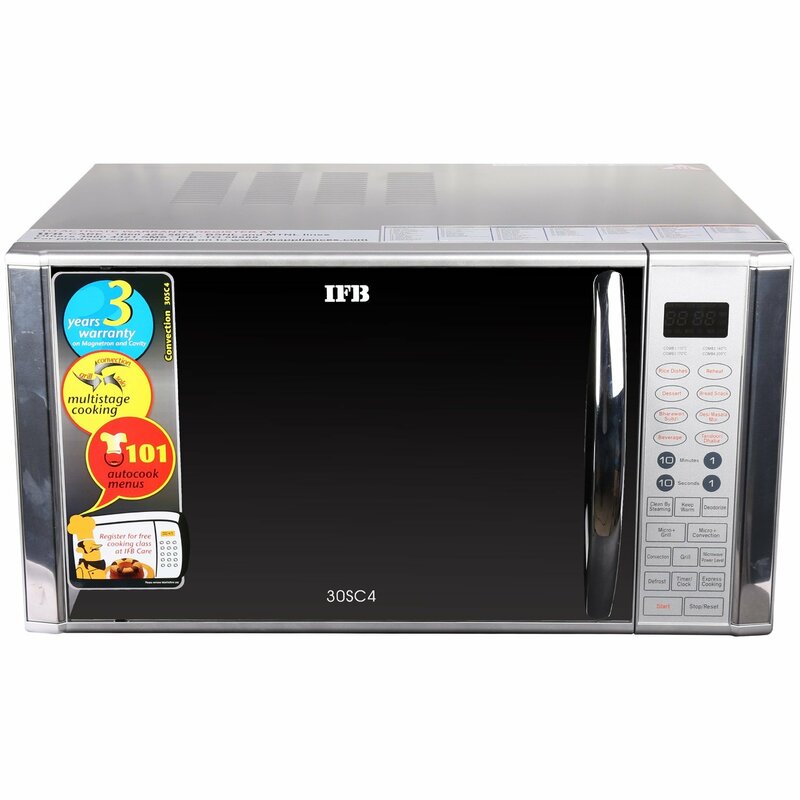 It has an inbuilt memory that stores up to 3 levels of cooking simultaneously. It is very good to save time and make cooking conveniently. The deodorize feature is good to remove all the food particles on the heater so that it can make the grill elements clean and free from germs and odors. 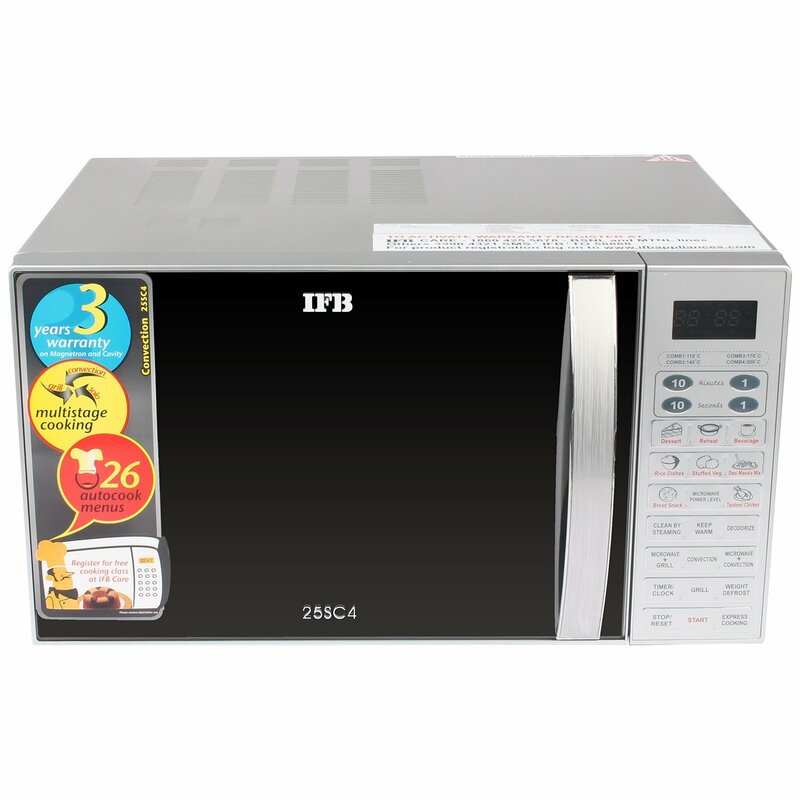 This IFB microwave oven also comes with ‘keep warm’ feature that delivers very low power waves pulse that keeps the temperature of your food at a regular level so it prevents overcooking. 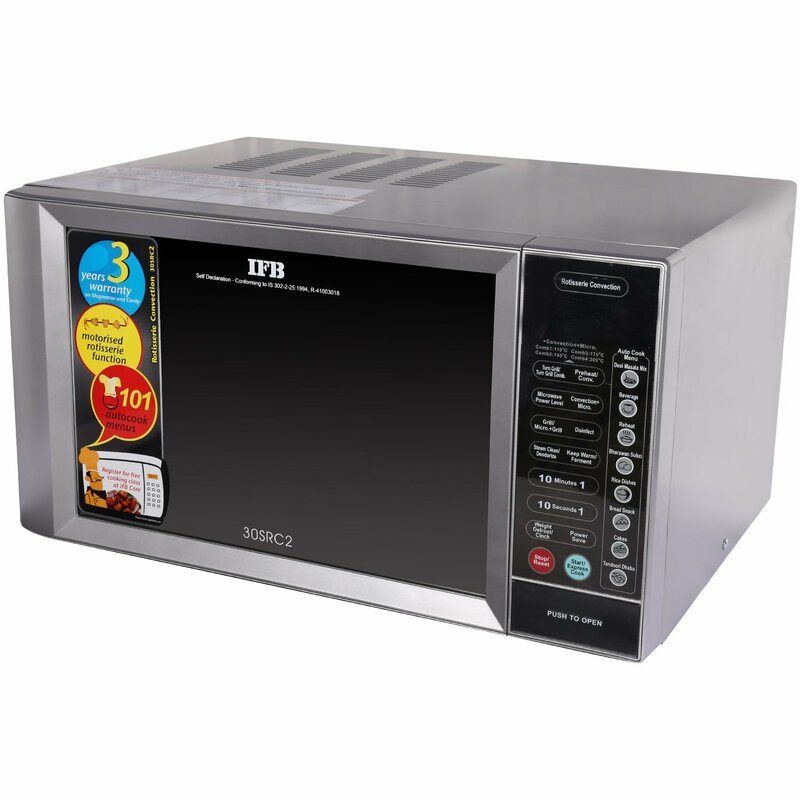 You are able to keep your food warm for up to 90 minutes.